The Craft is a great film about modern day witches who can only get their powers strong enough by forming a group of four. They all start out as close friends, but Nancy, who dresses as goth as it gets, starts to become quite mean, and seems most interested in making sure that she becomes the most powerful witch. Her evil knows no bounds, and by the end of the film, she's truly gone mental. But her gothic look is one you won't forget quickly. Beetlejuice was directed by Tim Burton, already known for creating quirky, gothic movies. The film is about a couple who died but still 'haunt' the house that they owned, and try to get rid of the new owners. 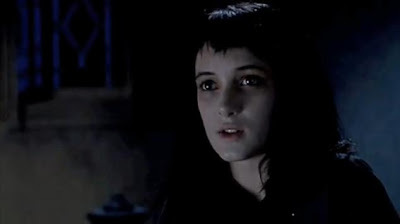 The character Lydia is a moody teenage goth who discovers the ghosts, but being who she is, is not scared at all. Unfortunately, neither are her unbearable parents who try to hatch a plan to use the ghosts as a way to make money. Lydia is a strong force in the film and a great gothic character to relate to. 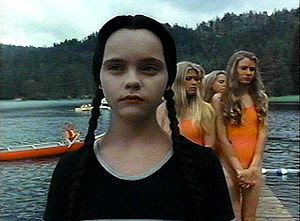 It was going to be between Wednesday and Morticia from the Adams Family, as to who would make the list. Morticia Adams is so beautifully gothic and elegant, but Wednesday has the perfect mix of gothicness and unwavering misery to make that dark soul even darker. She enjoys taking revenge on silly girly girls who pick on her, and experimenting with torture methods; a true child goth. These were very funny films, which made the gothic genre a little bit more open and accessible. 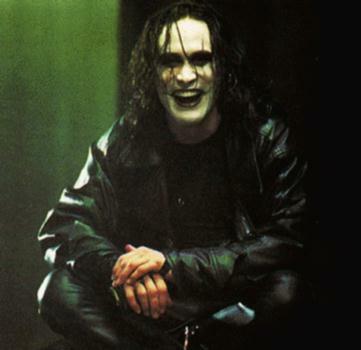 Eric Draven was the main character in the crow, who comes back from the dead to avenge the deaths of himself and his girlfriend. 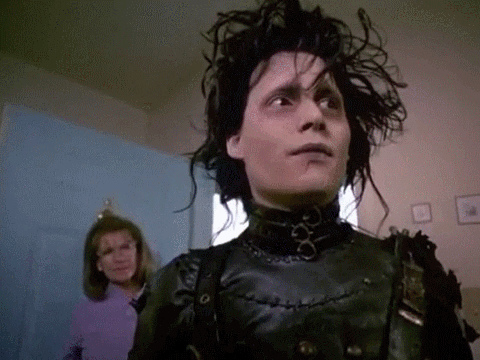 He was the ultimate goth, and the film and his character is still very much a favourite among the gothic community. The soundtrack to the film added to the dark atmosphere, and solidifying Eric Draven as a sort of goth God. He might not be a real human, but he still looks goth - and his awesome character and from this superb film therefore makes the list. He is strangely attractive, with his wild black hair and tight fitting goth clothes. Top marks go to the kooky Tim Burton for yet another awesome dark film, and creating a wonderful, naive and vulnerable gothic character. And everyone wants to dress as Edward Scissorhands at Halloween parties!